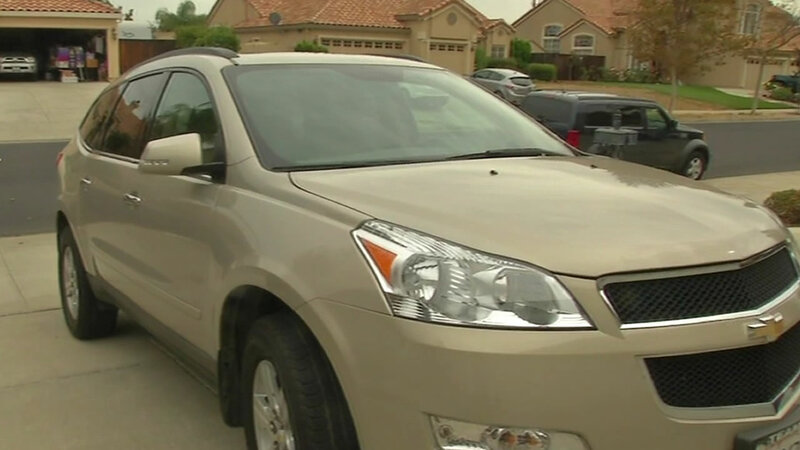 BRENTWOOD, Calif. (KGO) -- An automaker sent out a notice that it would replace a faulty part on one of its vehicles for free, but what happens if that notice never reaches an owner? 7 On Your Side explored that question. Brentwood resident Donald Barnhill replaced the faulty part on his own and then GMC refused to reimburse him. He thought he was doing the right thing when he took his car to be serviced at Brentwood Auto Repair. The shop told him his 2010 Chevy Traverse had a leaking water pump. He approved the repair and filed a claim with his extended warranty. However, the repair shop later told him the claim was denied due to a recall on the part. He thought that shouldn't be a problem, since GMC would surely reimburse him. However, they denied his request because they say Barnhill didn't honor the recall. That is true because Barnhill did not take his vehicle to an authorized GMC repair center, but he says he never got the recall notice. Brentwood Auto Repair gave Barnhill a notice from GMC that said: "Warranty claims would be honored from any customer who repaired their vehicles before receiving the notice about the faulty part." Barnhill told 7 On Your Side, "You know, when you're right, you're right. I just felt I was right, so I kept plowing." He decided to contact 7 On Your Side. We contacted GMC and they told us, "The issue was not part of a recall. His concern was a 'special coverage' that was issued." We contacted federal regulators who confirmed the water pump was not recalled. They said under the law, GMC had no obligation to perform free repairs. Nonetheless, GMC agreed to reimburse Barnhill the full $400 for his repair. "I said, 'Wow!' So I called KGO and thanked them," Barnhill said. The National Highway Traffic Safety Administration tells 7 On Your Side water pumps are not considered a safety issue, so would not be part of a recall.